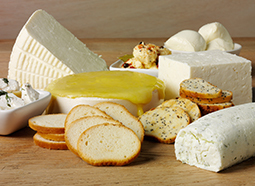 You can’t go wrong with cheese and crackers, so what more could you need on a cheese plate than some inspiring, fabulous and rather delicious crackers to accompany and show-off your cheese. Waterthins Fine Wafer Crackers have a distinct crispy and crunchy texture. They are popular for their ‘melt in your mouth’ sensation. 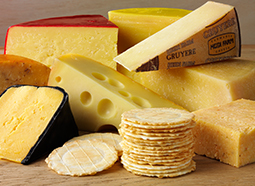 The delicate and crispy texture of the crackers suits the firm and crumbly texture of a hard or semi-hard cheese. It won’t compete with the strong flavour, but will merely flatter it. Waterthins Lavosh are delicately baked with the finest ingredients. They are made with Olive Oil which makes them healthier. 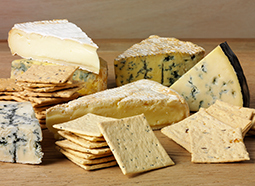 The firm, crispy texture and subtle sweetness of the cracker makes an ideal pairing with a stronger cheese like a blue mould, a very ripe brie or a washed rind. Simply accompany with something a little sweet like a drizzle of honey, some sherry soaked raisins, a fruit paste, or even some fresh dates. Some glazed nectarines, fresh strawberries, honey baked nuts or fruit paste are just a few ideas on ways to accompany these.